Recent studies have shown a correlation between anti-cancer benefits and consumption of horseradish. Horseradish, one of the lesser-appreciated condiments, is a whole lot more than just an added flavor in the culinary world. Horseradish has been used for centuries to treat an array of conditions, as every portion of the plant has some degree of medicinal value. Tea made from the horseradish root has been used as an expectorant. Expectorants are used to increase bronchial secretion and improve mucus expulsion by the lungs. Tea brewed from the horseradish flower has been used to treat the common cold. A compress can be made from the plant’s roots to treat joint discomfort externally. Raw leaves of horseradish also work as an analgesic, and when pressed upon the forehead, can eliminate headaches. Research has also displayed the plant’s antibiotic properties, as it has been shown to be effective against pathogenic fungi. Recent studies have shown a correlation between anti-cancer benefits and consumption of horseradish. The cruciferous vegetable contains compounds known as glucosinolates. Research has identified that this compound increases the liver’s capability to detoxify carcinogens and may suppress the growth of tumors. Given that other cruciferous vegetables, like broccoli or Brussels sprouts, contain these compounds, a study at the University of Illinois in 2004 showed that horseradish contains up to 10 times the amount of glucosinolates than broccoli does. This finding indicates that only a small amount of horseradish is needed to reap its health benefits. The research also revealed that horseradish contains an enzyme responsible for breaking down glucosinolates into smaller compounds that generate the anti-cancer benefits, demonstrating the increased health advantages of horseradish. Juice or sauce extracted from the root of the horseradish plant can be used effectively to alleviate sinus discomfort. Horseradish’s antibiotic properties have led the plant to be used for the treatment of urinary tract infections and to eliminate the bacteria that causes respiratory complications such as bronchitis and coughs. A study conducted in Germany in 2006 analyzed patients who were treated for acute sinusitis, bronchitis, or urinary tract infections with either standard antibiotic therapy or with horseradish root containing an herbal drug. The findings suggested that the therapy efficacy using the herbal drug versus antibiotics was comparable. A study at University of Illinois, published in 2004, suggested that an effective dose of horseradish could be as little as 1 gram, or less than a teaspoon. If you are interested in exploring alternative therapies for the treatment of these respiratory conditions, then it is advised to talk to your healthcare provider about incorporating horseradish into your treatment plan. While it may be a pungent condiment, the versatile uses of horseradish as an herbal remedy has proven it to be useful in the health industry. Consider incorporating horseradish into your daily diet, as its anti-cancer benefits alone are extremely valuable to your health. A simple dab of horseradish with a meal will not just open your sinuses, but provide outstanding health benefits and remedies for some common bacterial ailments. Li X, Kushad MM. Correlation of Glucosinolate Content to Myrosinase Activity in Horseradis (Armoracia rusticana). Journal of Agricultural and Food Chemistry. 2004;52(23):6950-6955. Goos KH, Albrecht U, Schneider B. Efficacy and safety profile of a herbal drug contiaing nasturtium herb and horseradish root in acute sinusitis, acute bronchitis and acute urinary tract infection in comparison with other treatments in the daily practice/results of a prospective cohort study. Arzneimittel-Forschung. 2006;56(3):249-257. Sampliner, D., & Miller, A. (2009). Ethnobotany of horseradish (Armoracia rusticana, Brassicaceae) and its wild relatives (Armoracia spp. ): reproductive biology and local uses in their native ranges. Economic botany, 63(3), 303-313. Nguyen, N. M., Gonda, S., & Vasas, G. (2013). A review on the phytochemical composition and potential medicinal uses of horseradish (Armoracia rusticana) root. Food Reviews International, 29(3), 261-275. Agneta, R., Möllers, C., & Rivelli, A. R. (2013). 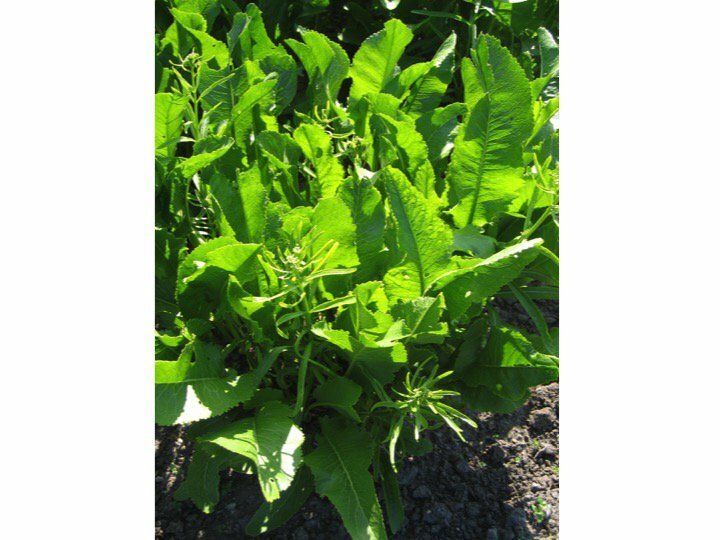 Horseradish (Armoracia rusticana), a neglected medical and condiment species with a relevant glucosinolate profile: a review. Genetic resources and crop evolution, 60(7), 1923-1943.